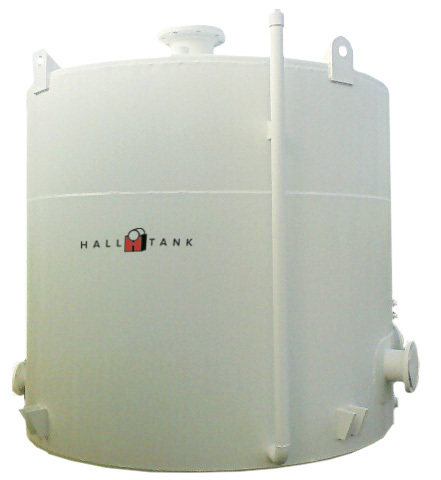 F921® aboveground storage tank is manufactured with a double-wall steel design. Standard features include built-in, testable, interstitial monitoring capability and impermeable secondary containment. The F921® delivers uncompromising performance, reliability, service and economy. F921® is available from an extensive group of Steel Tank Institute fabricators who participate in the STI Quality Assurance Program. Under the program, independent quality control inspectors make unannounced visits to STI members, ensuring fabrication to the highest possible standards. F921® tanks are also available in Horizontal and Rectangular designs. Provide F921® double-wall steel aboveground storage tanks. Tanks shall bear the Steel Tank Institute F921® Double-Wall Aboveground Storage Tank identification label. Tanks shall be manufactured in accordance with Steel Tank Institute F921®, Standard for Double-Wall Aboveground Storage Tanks. Aboveground tank primary and secondary containment (inner and outer walls) shall be manufactured in accordance and listed with Underwriters Laboratories UL 142, Standard for Steel Aboveground Tanks for Flammable and Combustible Liquids. Tanks shall be double-wall with a steel inner wall for primary containment and provide integral secondary containment by an impervious steel outer wall. Listed supports shall be used for all horizontal, rectangular and vertical double-wall tanks. Supports are designed for seismic loading, if necessary.